The Chad Ochocinco Rules – The thinking man’s trash-talker. 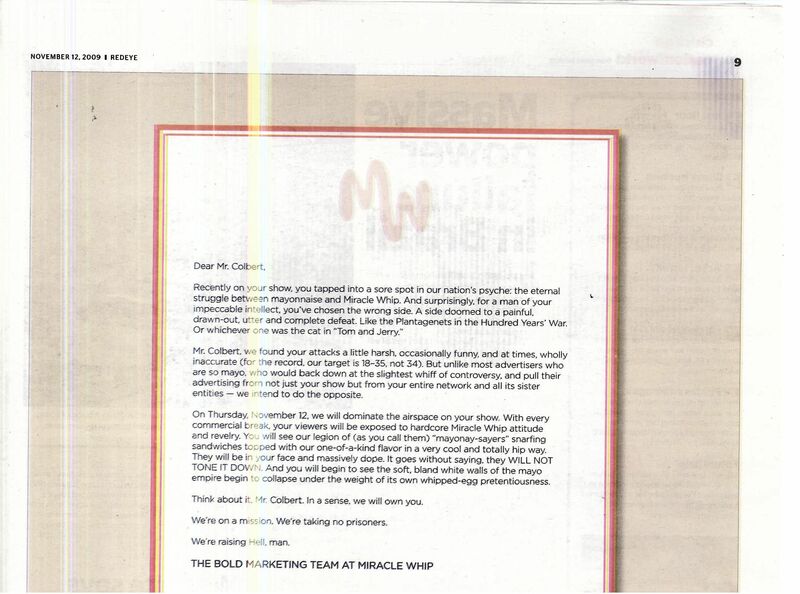 Miracle Whip v. Colbert: Round 1 – Really like Miracle Whip’s style here in their opening salvo. I don’t think the ads they ran in response quite delivered on the tone that comes through in the letter, but I give them a ton of credit for responding with custom creative in the first place. 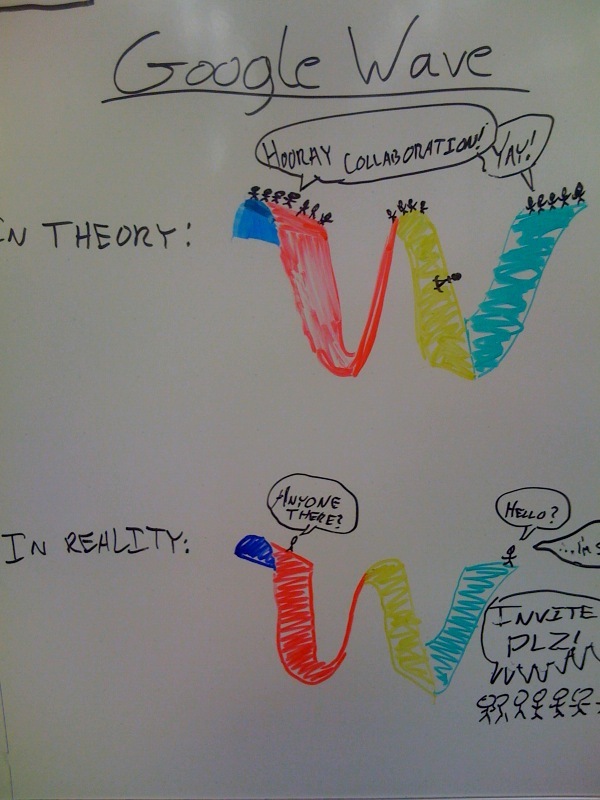 Google Wave Expectations And Reality – Heh. Instant Chewbacca’s Gonna Get You – Gonna look you right in the face. Kool Keith And Seltzer Maneuvers – He’ll never be Dr. Octagon again in music, but he still is in interviews. Internet Height/Weight Chart – Rob at Cockeyed has a fantastic project going where he is listing out heights and weights based on the visual reference of anyone who sends in their photo, height, and weight. So for example, here’s what 5’6″, 165 lbs looks like. MS Bing As A Verb – @Bigeasy provides a usage example. Haha! Instant Chewbacca’s gonna get you. If there’s a better John Lennon/Chewbacca pun out there, I haven’t heard it. Extraface, Proudly powered by WordPress.